Just a quickie on Pete Buttigieg, who has become an unexpected rising star since launching an exploratory low-key start to a Presidential bid in January and yesterday made it official. He declared himself in at around 2pm in South Bend, Indiana, yesterday. This puts the Aries Sun exactly trine Jupiter in a nearly exact trine to a Leo Moon – so an inspirational, confident, attention-seeking Fire Grand Trine. 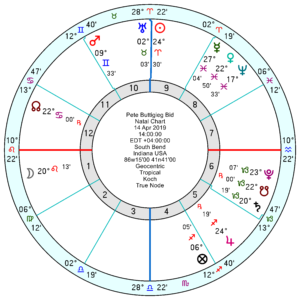 The Sun is also in a heavy-duty square to Saturn Pluto – but he has that anyway in his chart, so it won’t bother him as much. If the time is about right Uranus is hovering around the midheaven or in the 10th for a reformist, mould-breaking run. 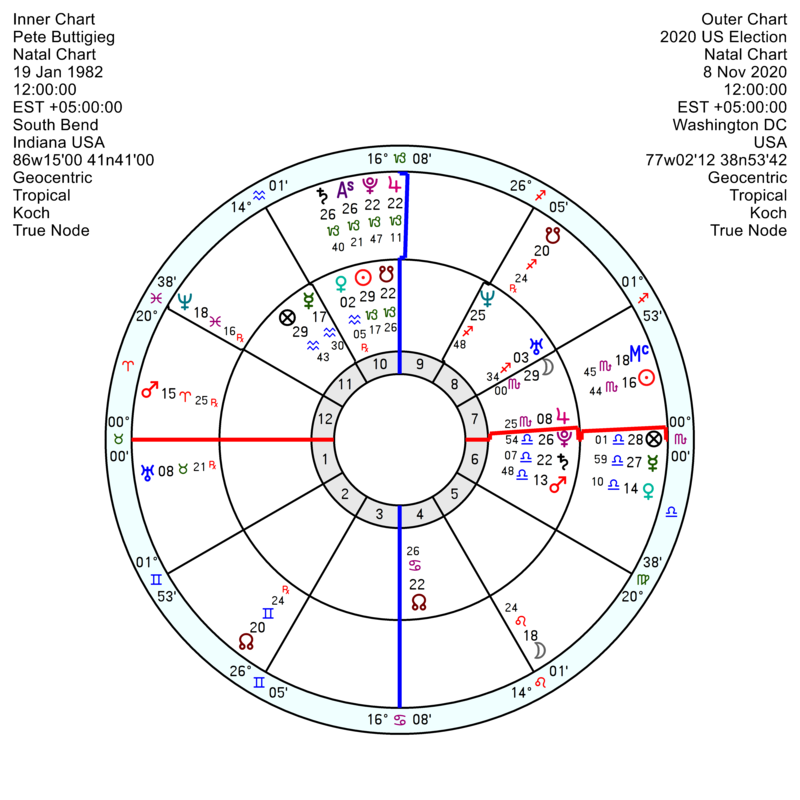 He does have tr Uranus square his Jupiter in Scorpio over the election which will be good news, though he has other less helpful influences also running. See earlier post March 19 2019. A gruelling campaign will take the edge off his enthusiasm but he’s one to watch now and for the future. 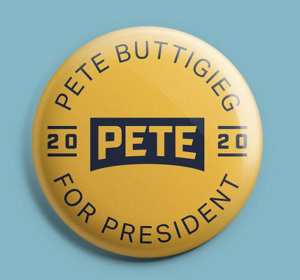 With his intellect and calm, mature demeanor, Buttigieg would destroy Trump in a debate. 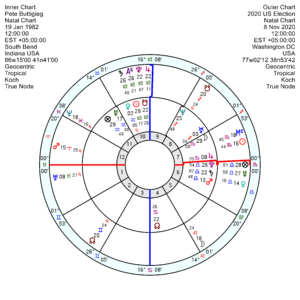 He has no aspect to the USA chart’s Moon 25 Aquarius, the people…..thus no luck for him come election time. Thank You, Marjorie…For your brilliant focus on our USA Presidential Election. America’s heart goes out to Paris. I think that would be tr Uranus opposite his Jupiter in Scorpio over the election. Thanks, Marjorie for a dash of uplifting insight in these chaotic and generally depressing political times. Could you take a brief look, if you find the time and have the will, at his husband, Chasten (Glezman) Buttigieg? Internet tells me he was born on 23 June 1989 in Traverse City, Michigan. Thank you!